British Spirals & Castings recognise a spiral is not always the answer when looking for your perfect staircase. As a result they have developed a range of straight stairs available in either Cast Aluminium range or Grade A, hardwood timbers. 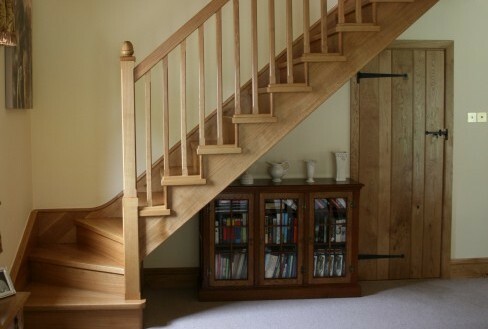 Using our superior materials, our range of traditional Victorian, LCC or Diamond straight stairs are usually manufactured in 700mm, 800mm and 1000mm widths, but can be made to any width you require. Built using a cut string, the Straight Cast Staircases offer an elegant and delicate alternative to more traditional fire escape type stairs. 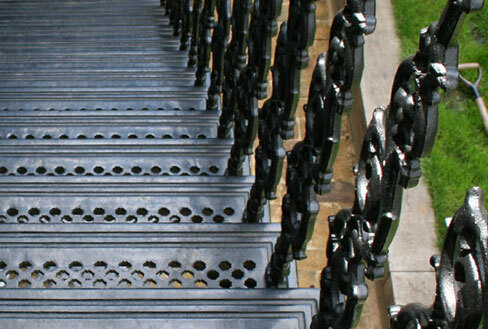 Typically used in external application, the staircases offer an additional safety feature as the filigree design in all our treads patterns also allows water to drain through the staircase reducing the risk of water and ice settling on the treads. Our graceful spiral, straight, helical and combination stairs in top quality, Grade A, hardwood timbers are hand built by our skilled cabinet makers in the British Spirals & Castings workshops here in the UK. They will create a stunning staircase to any design.